Qatar has accused Saudi Arabia, United Arab Emirates (UAE), Bahrain and Egypt for using bribe and blackmail to pressure African countries to join their side in the diplomatic showdown opposing it to the four boycotting countries. 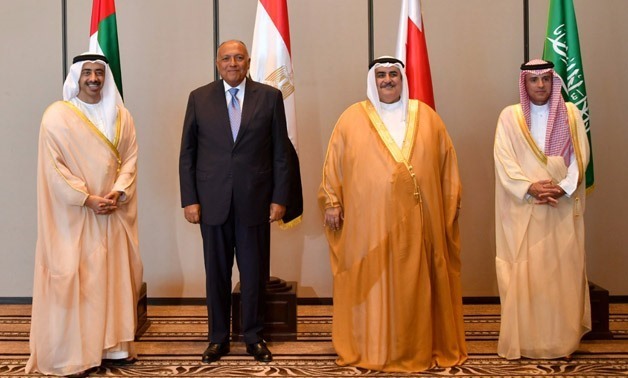 In an interview with Paris-based Jeune Afrique, Qatari Foreign Minister Mohammed Ibn Abderrahmane Al Thani pointed out that Saudi Arabia and the UAE have mobilized their diplomatic force on the African continent since the beginning of crisis, which erupted on June 5. The Foreign Minister said five countries have so far joined the blockading countries instead of six suggested by the media. Comoros, Chad and Mauritania have severed ties with the tiny-gas rich gulf country while Niger and Djibouti have downgraded their ties with Doha. Sheikh Mohammed said Comoros made U-turn despite good ties between the two countries. Chad initially supported Qatar in the crisis but in recent months, it switched sides, accusing Doha of supporting a rebellion against N’djamena. For Sheikh Mohammed it is obvious that Chad received a bribe. “Why did Chad, shortly after it declared support for the bloc, obtain a reconstruction conference in the UAE?” he asked. The Qatari top diplomat also noted that Senegal, which recently normalized ties with Qatar, finally realized that it joined the wrong side at the beginning of the diplomatic spat. “Senegalese President Macky Sall told the Emir that he had been deceived and wanted to reinstate his ambassador in Doha,” he said. The stance of Gabon in the crisis, after joining the bloc according the Qatari top diplomat is a sign of ‘briefcase diplomacy’. “This is probably the result of a deal. Some states are in need, and they cannot be blamed for succumbing to temptation,” he noted, adding that Libya, in reference to UN-backed Tripoli-based government led by Faiez Serraj, supports Doha. Libya’s east-based government supported by UAE-backed military commander Khalifa Haftar has severed ties with Doha. Written by: KanelkaTagba on October 20, 2017. Last revised by: Jaber Ali, our reviewer, on October 21, 2017. Posted by KanelkaTagba on Oct 20 2017. Filed under Gulf News, Headlines, World News. You can follow any responses to this entry through the RSS 2.0. Both comments and pings are currently closed.